The Thirteenth Annual Paws for a Cause Charity Night & Silent Auction will be held on Thursday, September 6, 2018 from 5-8PM at Monument City Brewing Company. This event will benefit Animal Safe Haven & Adoptions, Show Your Soft Side, and Furry Friends Network. This year’s event will feature guest bartenders, brewery tours, animals brought by the charities, a silent auction, raffles, games, BMore Greek food truck, and more! Animal Safe Haven & Adoptions works to help rescue as many abandoned, homeless and abused animals from our community, the city and the counties, as possible. They work to end the suffering of overpopulation and unwanted animals and to effectively reduce the number of animals abandoned and abused. They do this by supporting spay/neuter programs; providing temporary foster care for pets of people in a crisis who want their animals back; catching, vetting and relocating feral colonies from dangerous areas; and they take in and adopt out cats, dogs, small animals, and farm pets from all of Maryland. Paws for a Cause is raising money for Animal Safe Haven & Adoptions to help them cover the expenses for trapping, spaying/neutering, vet care, and relocating feral cat colonies in Maryland. Show Your Soft Side is a public service campaign that was created to change the mindset of young people who all-too-often view the maiming and torturing of defenseless cats and dogs as a sign of “toughness” or “manhood.” The campaign’s message that compassion towards animals is a sign of strength, not weakness, is one that, overnight, struck a nerve with old and young alike. Today, Show Your Soft Side, Inc. uses its reach and resources to build a better world for animals and, in doing so, build better adults. Paws for a Cause is raising money to help support Show Your Soft Side’s anti-cruelty campaign that will feature law-enforcement officials who have taken animal cruelty seriously. This campaign will be featured at community events and schools in an effort to stop animal cruelty before it starts. Paws for a Cause also gives back annually to the Hope Fund of Furry Friends Network, Inc. as a token of appreciation for bringing Fenway into the lives of founders Woody and Heidi Derricks. If it wasn’t for their experience with Furry Friends Network, Paws for a Cause wouldn’t exist. The Hope Fund is used to help cover the costs of treating animals with severe injuries, illness, and/or in need of major surgeries. *We’re also in need of sponsorships and silent auction donors. Click here to learn more about how you can help. Tickets: We aren’t charging for this year’s event, but we are suggesting a $10 donation. Donations can be made via PayPal. A copy of the current financial statement of Paws for a Cause is available by writing 2809 Boston St, Ste 509, Baltimore, MD 21224 or by calling (410) 732-2637. Documents and information submitted under the Maryland Solicitations Act are also available, for the cost of postage and copies, from the Maryland Secretary of State, State House, Annapolis MD 21401, (410) 974-5534. We aren’t charging for this year’s event, but we are suggesting a $10 donation. Donations can be made via PayPal. If you are interested in donating an item to our silent auction, sponsoring our event, or making a donation to Paws for a Cause, please contact Woody Derricks at 410-732-2637 or by email at info@paws4cause.org. Your contribution will help support worthy animal organizations in the Baltimore-Metro area. To become a Sponsor for this year's event, please download and return this form. To donate items for auction at this years event, please downlaod and return this form. As we all know, companion animals are still being turned over to shelters and rescue groups at alarming rates. We also know that rescue organizations rely heavily on the support and monetary donations of the community. We want to help! Each year, we hold a fundraiser to benefit one or two local animal welfare groups. No animal welfare group is too small to apply! Over the past 13 years, we’ve raised more than $80,000! 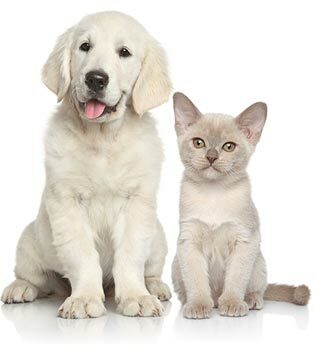 Our approach at the event is to find projects that local animal organizations need funded. We believe that having a monetary goal tied to a specific project helps loosen the wallets of those in attendance. For those interested, please download the application form, and email it to us at info@paws4cause.org. In return, we ask that the group(s) selected help raise awareness of our event within their network of supporters and that they send a representative to the event. We will notify the group(s) if we are in need of a volunteer or two to assist before or during the event. [download an application] All submissions need to be received by May 10, 2019.